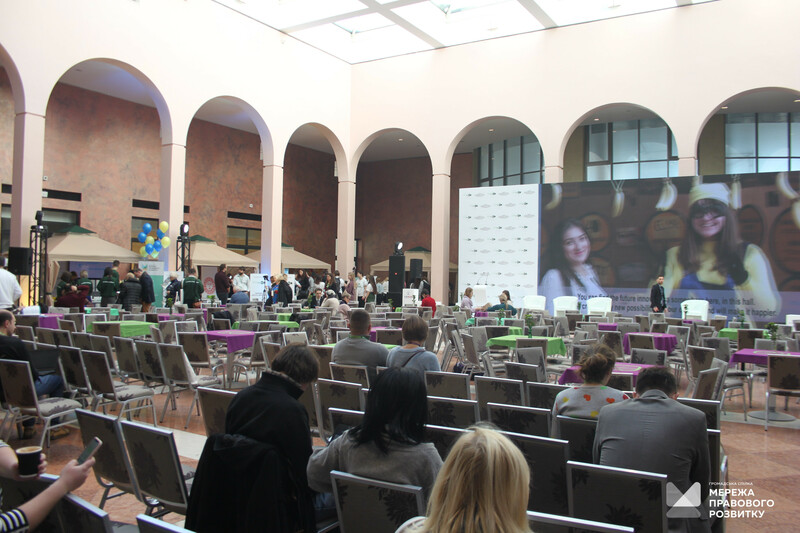 An annual Civil Society Development Forum was held in Kyiv. 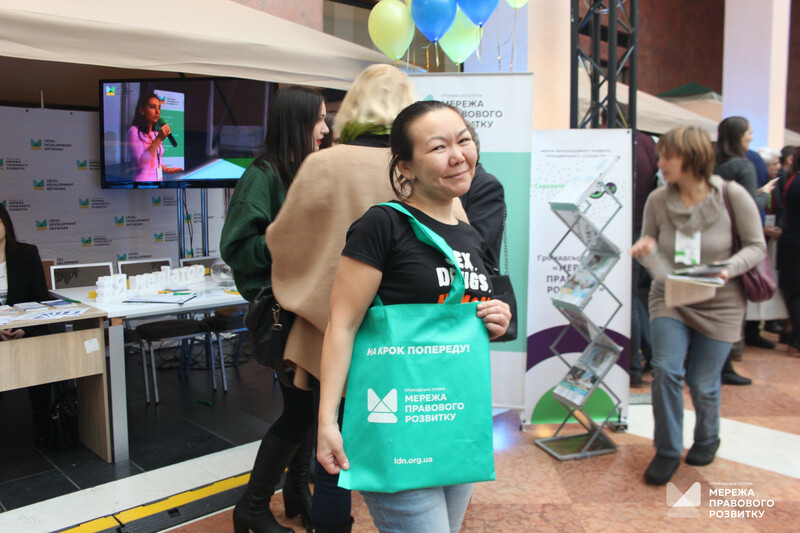 More than 2000 representatives of non-governmental organizations took part in it. 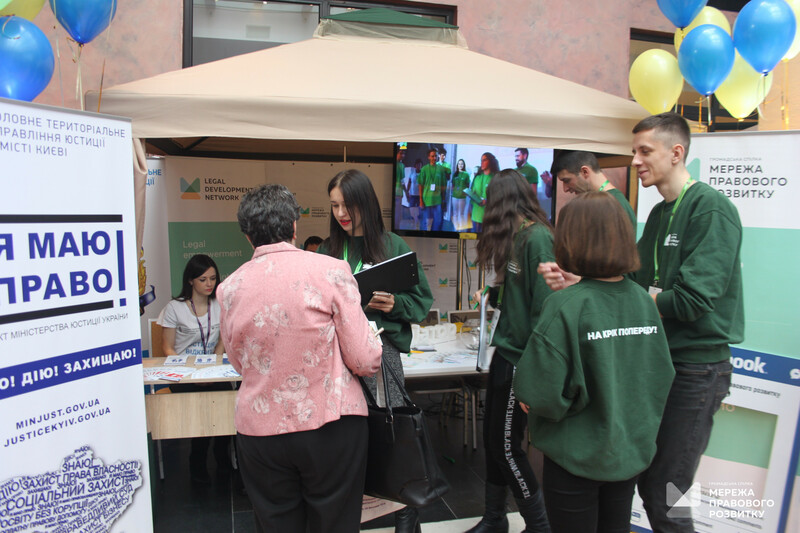 Within the framework of the event, more than 100 different activities took place: trainings, presentations, discussions. 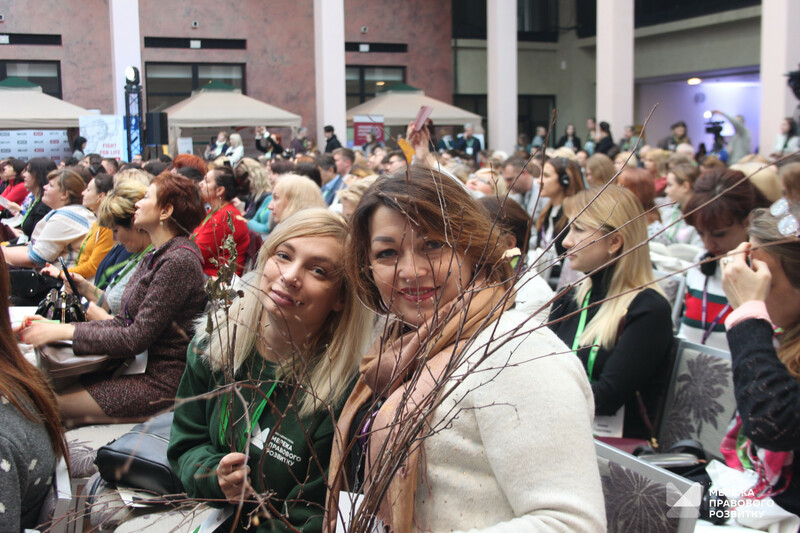 The theme of this year’s Forum was “Dream 3.0. Designed Impact “. 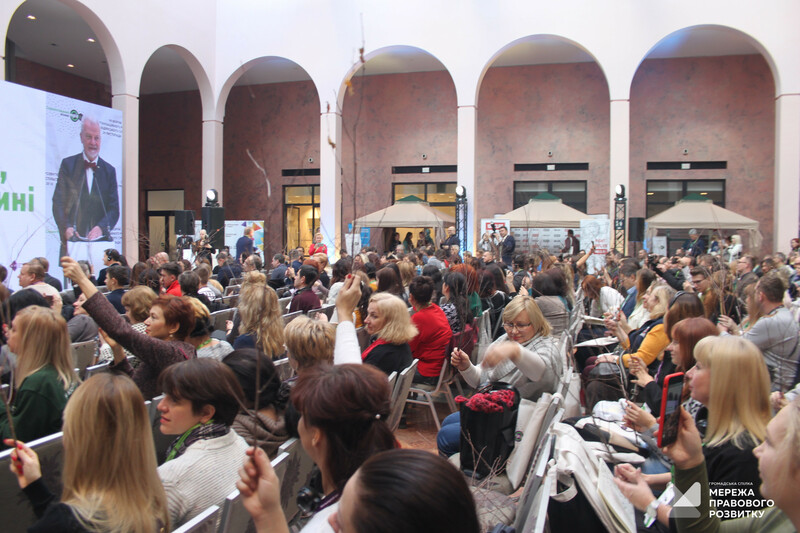 The event was held on November 29, 2018. 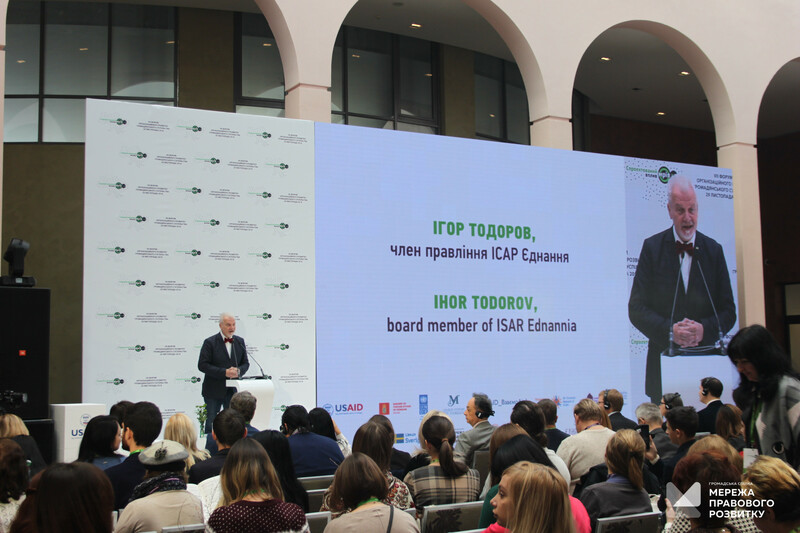 Opening the Forum, Ihor Todorov, a member of the Board of the Initiative Center to Support Social Action “Ednannia”, read aloud the appeal of the President of Ukraine to the participants of the Forum: “A strong and conscious public is called to be an inexhaustible source of social development. 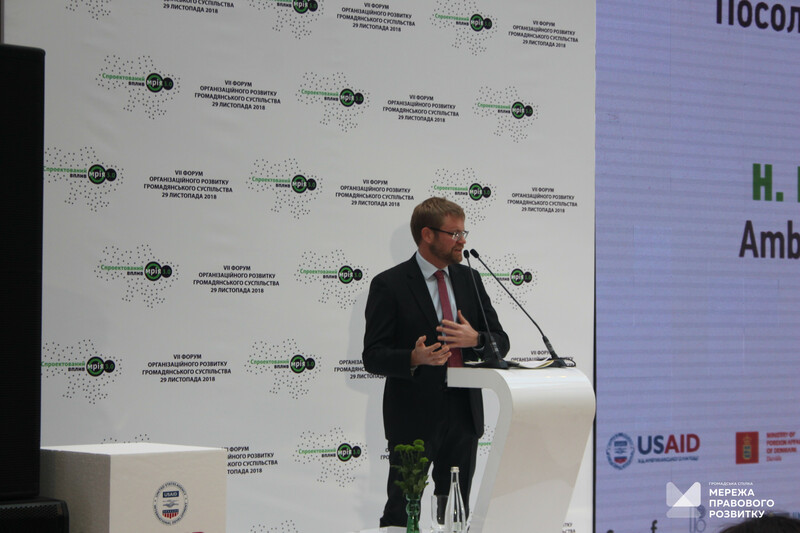 The implementation of cross-sectoral projects aimed at counteracting Russian hybrid aggression against Ukraine is particularly relevant, in my opinion”. 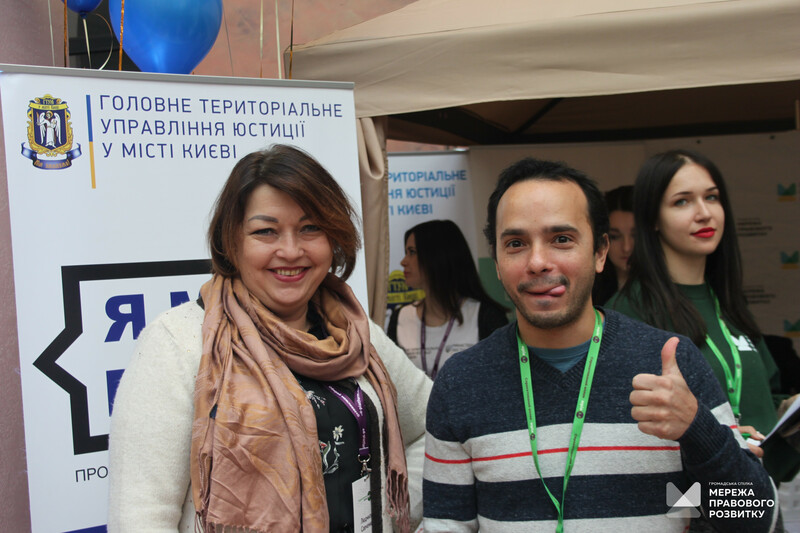 The Legal Development Network also took part in the Forum. 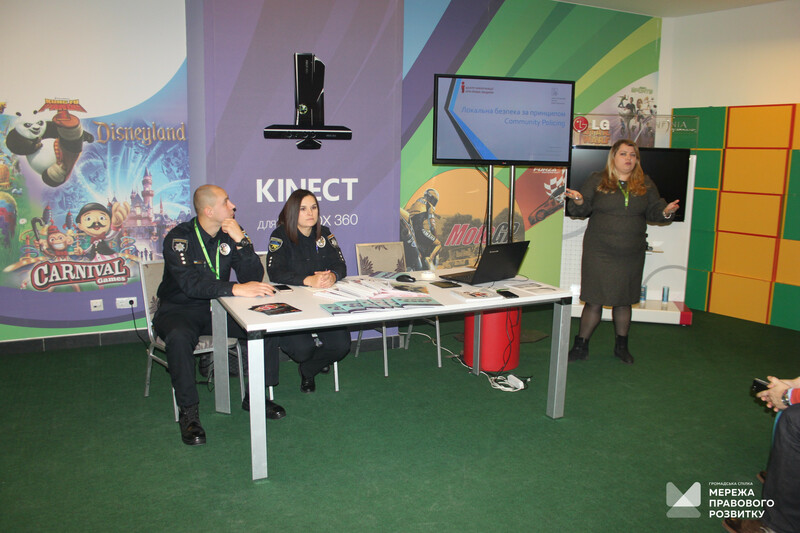 Its activities, in particular, were presented at the exhibition “Networks and Coalitions: Actions, Impact, Result”. 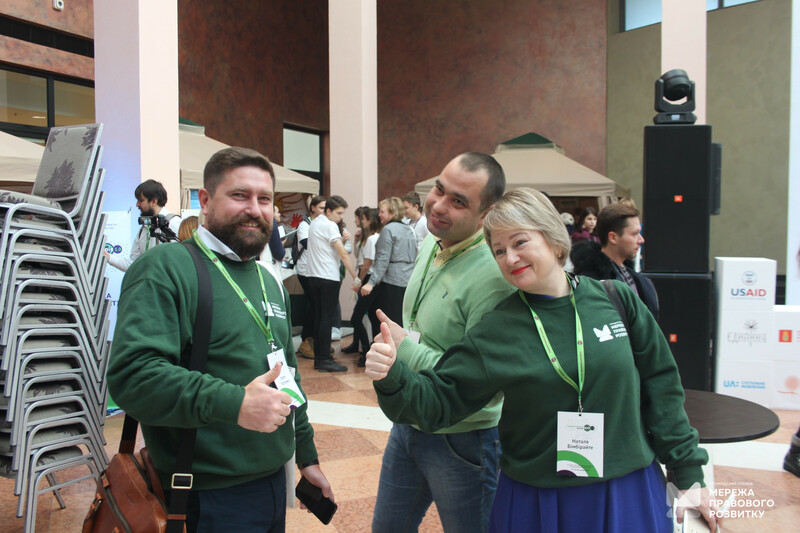 The Network attracted a lot of interest. 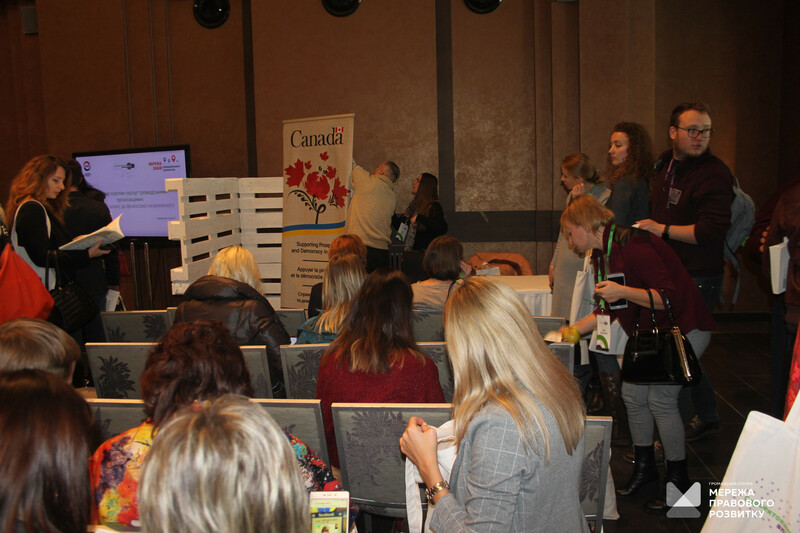 It was attended by a significant number of the Forum guests; about 200 of them left their contact details. 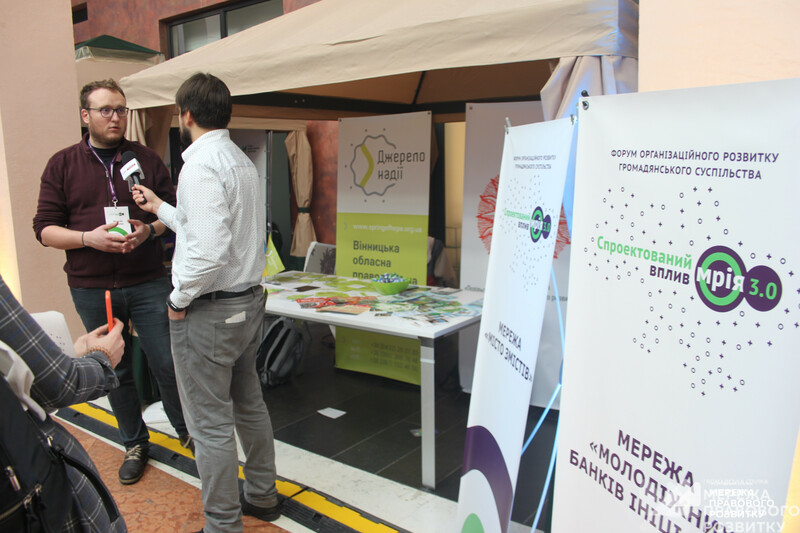 Representatives of the Legal Development Network told guests about its activities. All interested persons could receive information materials of the Network, which contain algorithms for solving various legal issues. For example, leaflets being presented were devoted to resolving land disputes, access to public information, obtaining social aid and resolving other legal issues. 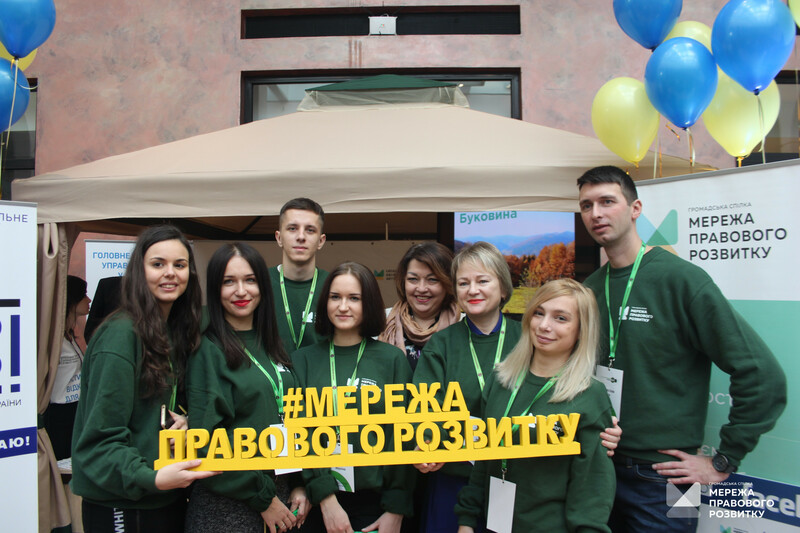 At the joint site with the Legal Development Network, the staff members of the Main Territorial Administration of Justice in Kyiv presented its work. 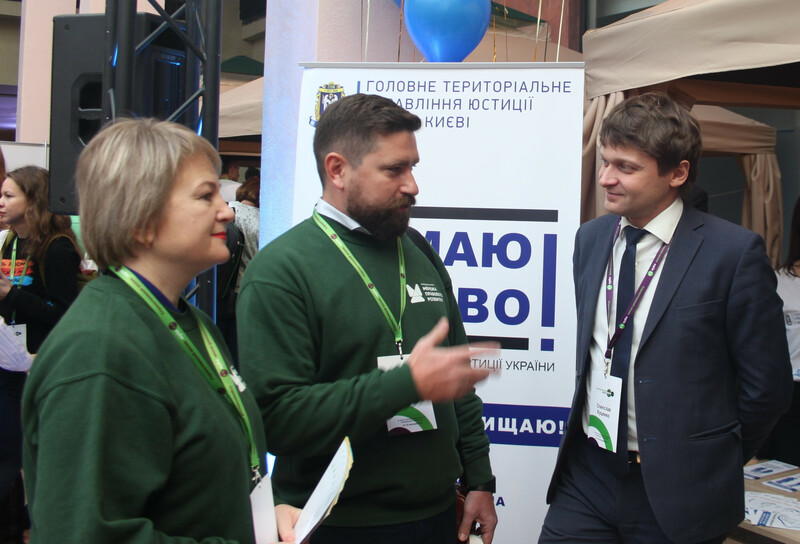 Among other guests, Stanislav Kutsenko, the head of the Administration, visited the site. 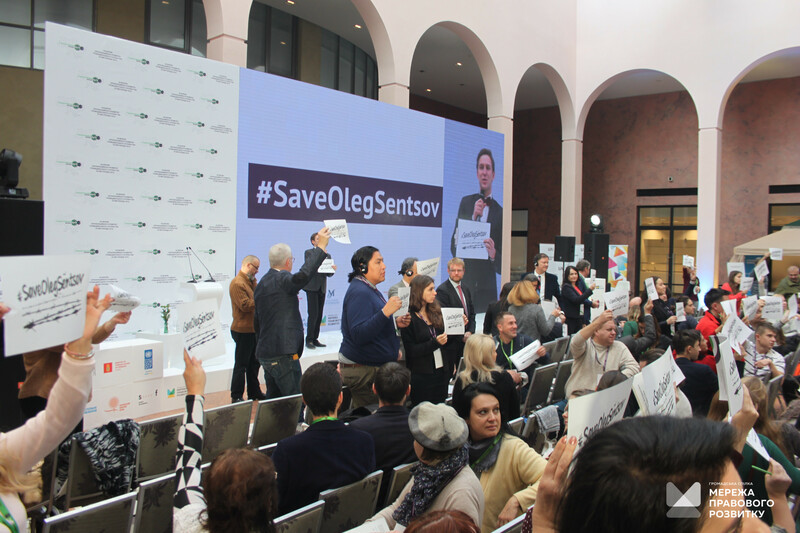 The participants of the Forum held a flash mob in support of Oleg Sentsov, raising up the posters with the printed #SaveOlegSentsov hashtag, to demonstrate to themselves and the world that we must remember all the prisoners and join forces to work for their release. 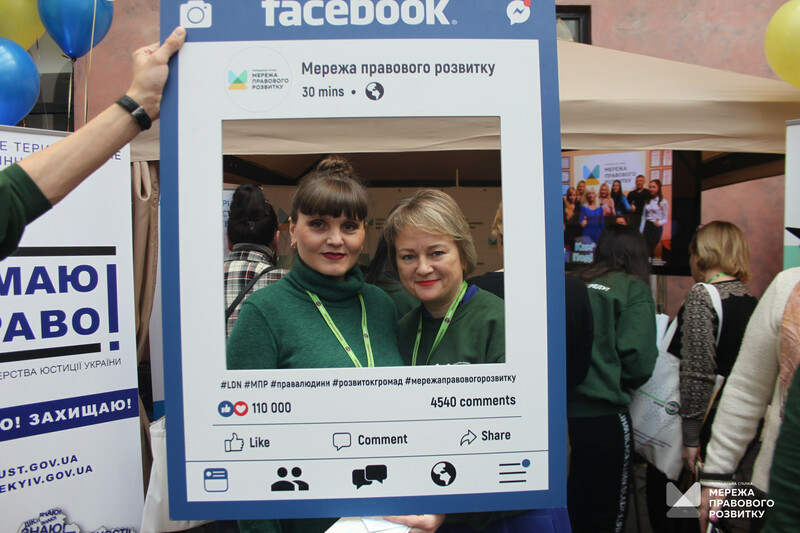 “Today, civil society plays a leading role in promoting democratic reforms, and it is also the engine of resistance to those who are trying to divert Ukraine from its European path. 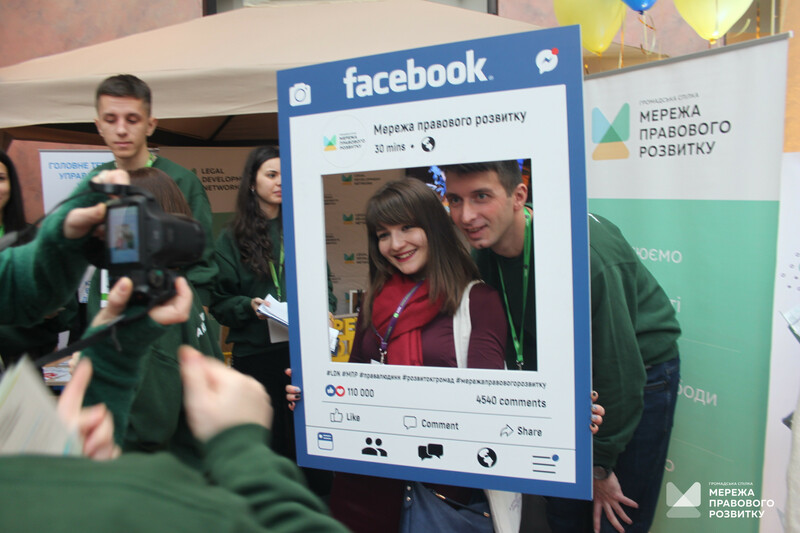 Ukrainians trust activists of civic organizations working at the community level. 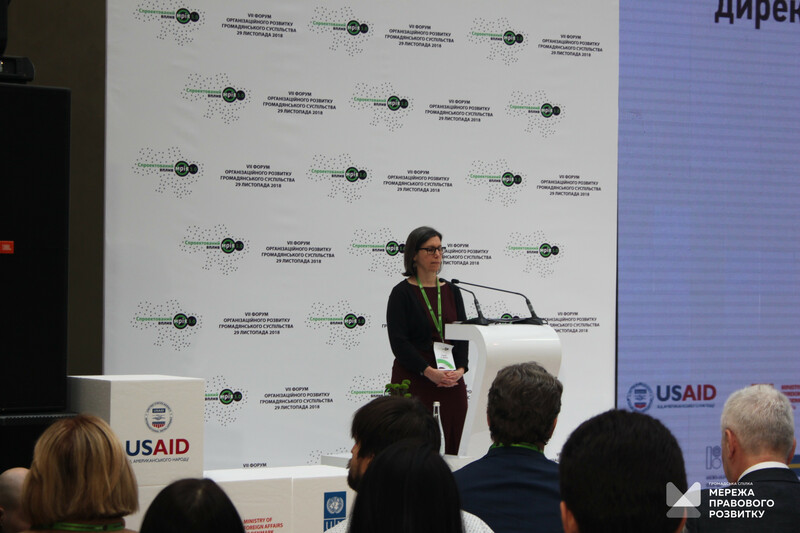 This platform you have created truly reflects on the nature of civil society in Ukraine … Today you are pushing the country for peace, prosperity and freedom,” said Susan Kosinski Fritz, Director of the USAID Mission to Ukraine, Belarus and Moldova, addressing the Forum. Mr. 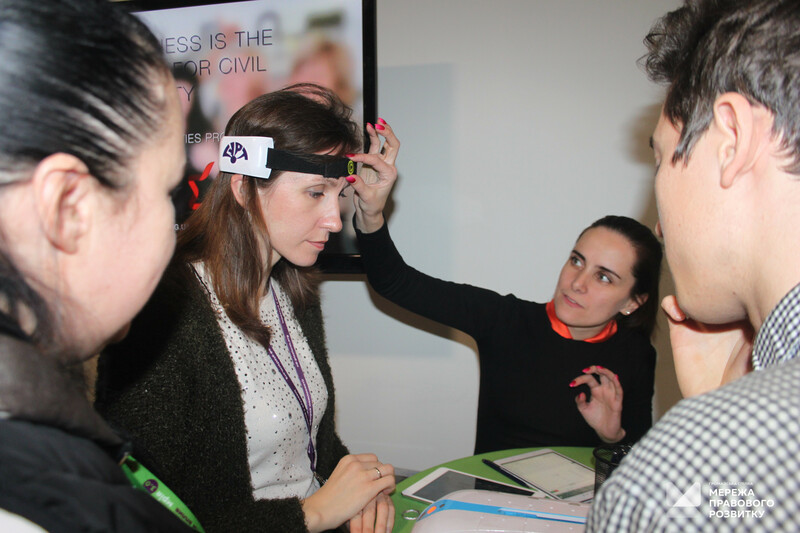 Ambassador drew attention to the problem of attacks and persecutions – over the past year there were over 50 undisclosed crimes against activists. 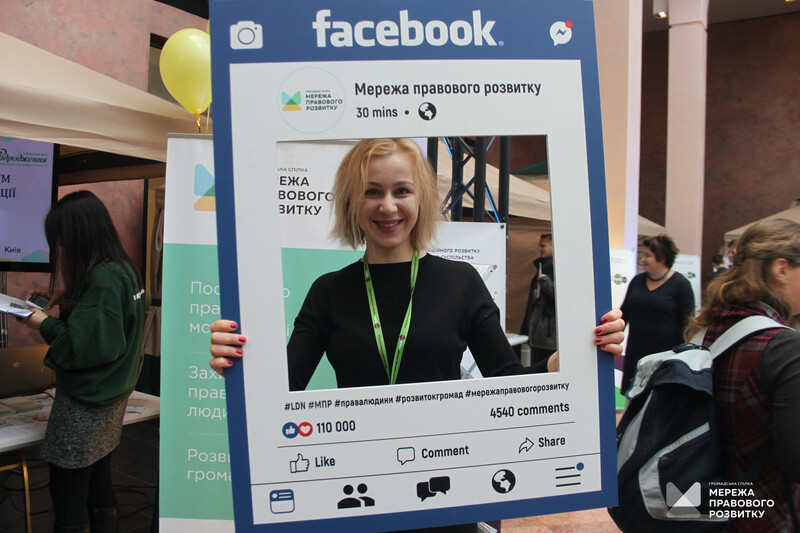 “The most tragic case is the attack on Kateryna Gandziuk. This development is very worrying for us. 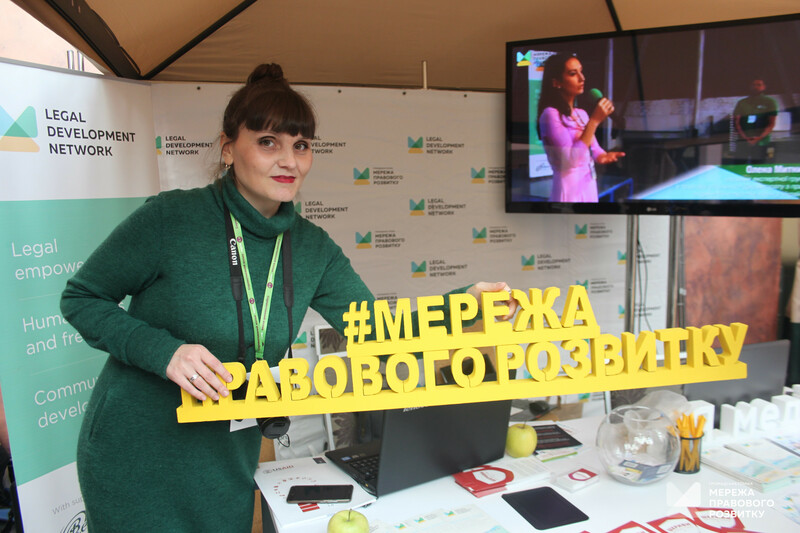 We appeal to the Ukrainian authorities to do their utmost to protect civil activists in order to investigate these cases and arrest the perpetrators. I want to assure you that we will insist that the authorities make every effort to stop such cases. 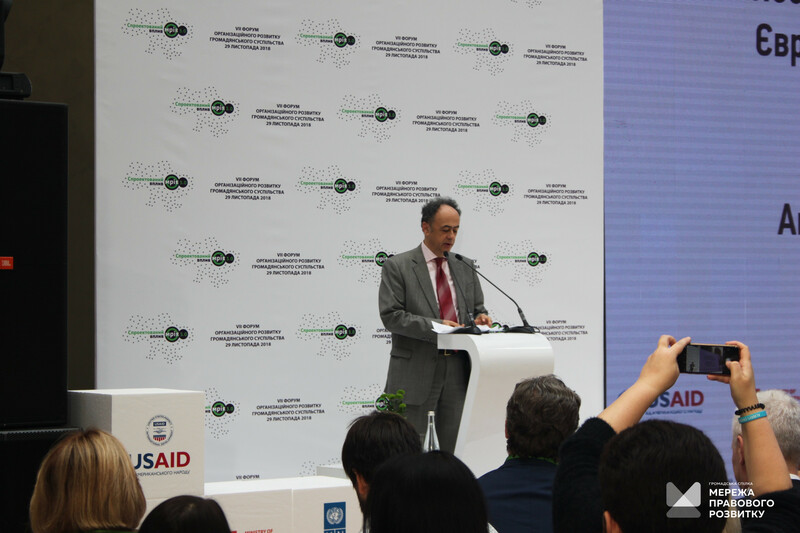 “My first call to civil society: continue to set ambitious goals and high standards to facilitate the implementation of reforms. 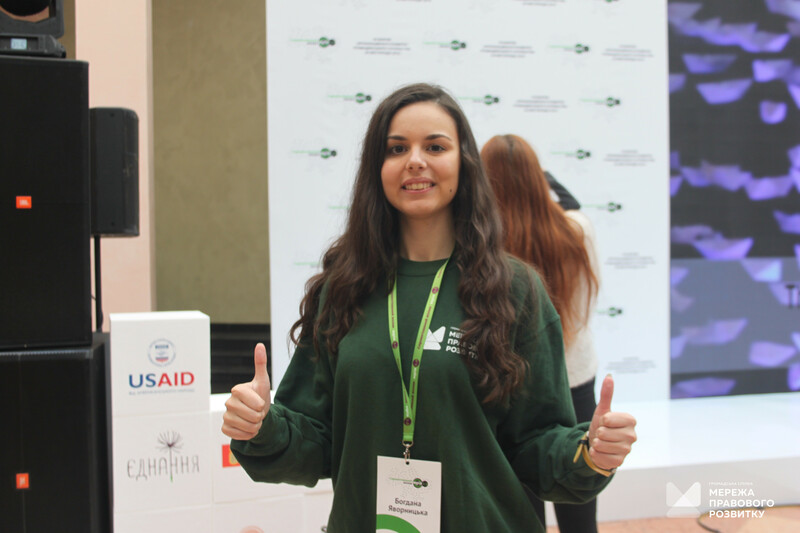 Use your extremely valuable experience and high level of trust to empower young people and help them believe that they can make real changes. Stay united and collaborate with the government in policy making, promoting human rights, dignity and tolerance. 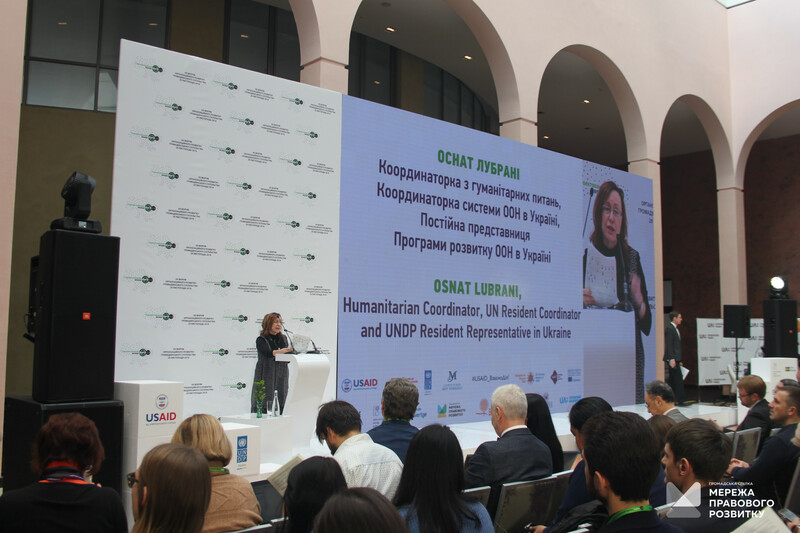 And finally, to ensure that civil society has flourished and has contributed to a more inclusive, equitable and stable society, innovative approaches are indispensable,” Osnat Lubrani, UN Resident Coordinator, Humanitarian Coordinator and UNDP Resident Representative in Ukraine, said in her welcoming speech. 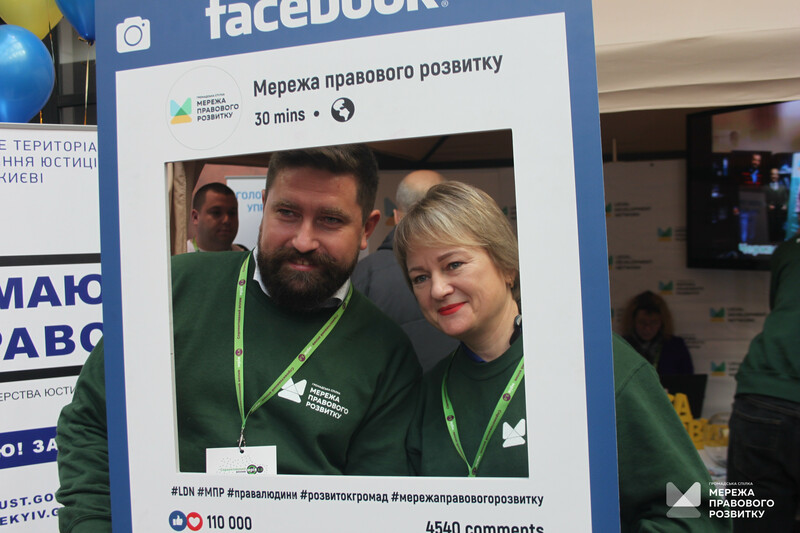 Swedish Ambassador to Ukraine Martin Hagström, at the end of the greeting part of the Forum, wished civil society to involve as many people as possible in their work.